Japanese Cheesecake. 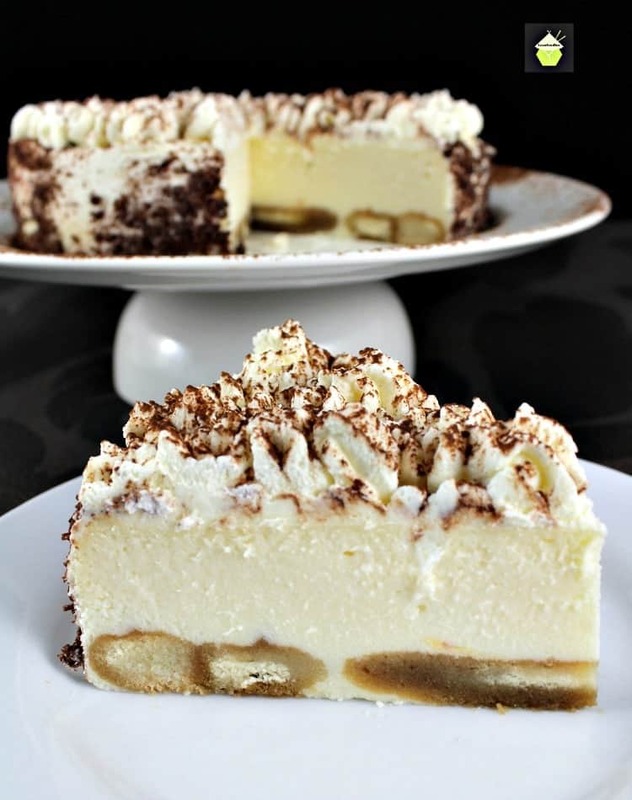 This is a wonderful baked cheesecake, light and as fluffy as a feather! Easy recipe and always popular with a cup of tea! Japanese Cheesecake! Oh my goodness, this is a wonderfully soft and fluffy baked cheesecake. A slice of this Japanese cheesecake with a lovely cup of coffee would be a perfect combination. 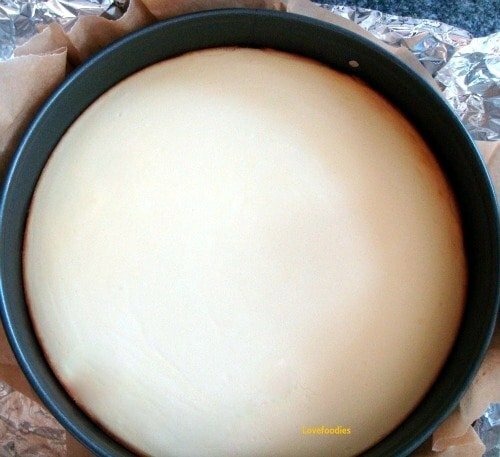 Here, Adelenne has kindly shared her lovely recipe to show us how she makes her Baked Japanese Cheesecake. 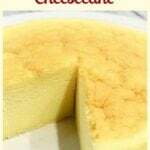 Adelenne lives in Singapore and this type of Japanese cheesecake is very popular in South East Asia. It is light and as fluffy as a feather! 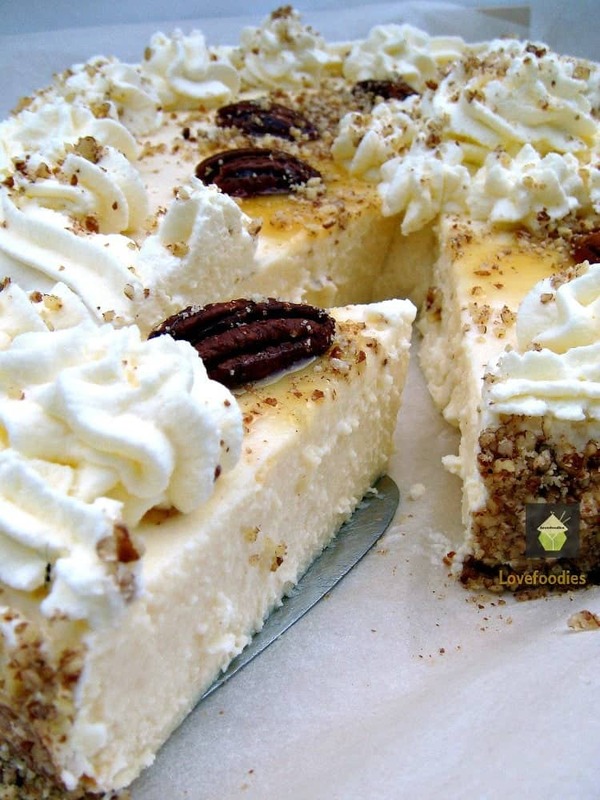 Often served with a cup of tea, such as a green tea, this makes for a lovely afternoon treat, and won’t sit as heavy on your tummy as the traditional American cheesecakes. 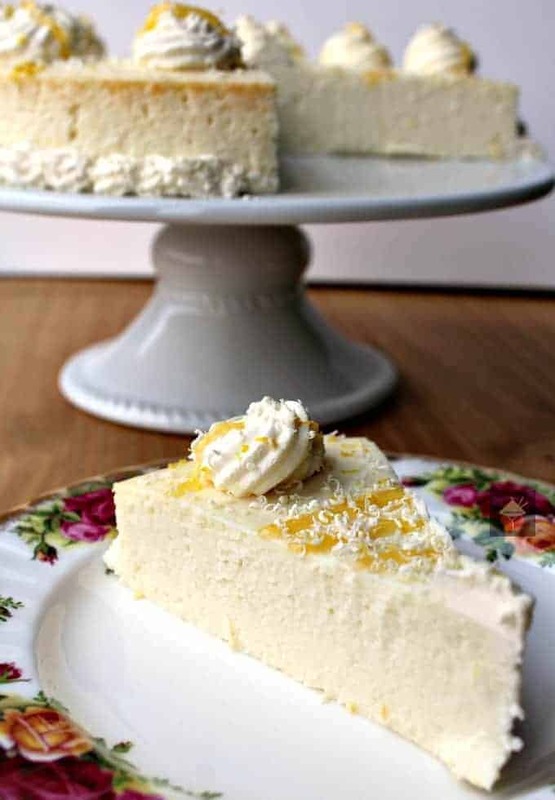 If any of you enjoy baking or like to do an afternoon tea or high tea, then this Japanese cheesecake would make a lovely addition to your table. We’ve got some other lovely recipes here which you could include in your afternoon tea too! Such as open sandwiches, chocolate eclairs, Classic English Scones, and a delicious vanilla pound cake amongst many other recipes so be sure to check them out! This is always a popular recipe and easy to make. The trick is to make sure you incorporate the fluffy whipped egg whites to make this cheesecake light and fluffy, and of course, don’t open the oven door whilst cooking… not even if you are impatient or very curious. Just tie your hands behind your back until the cook time is over! 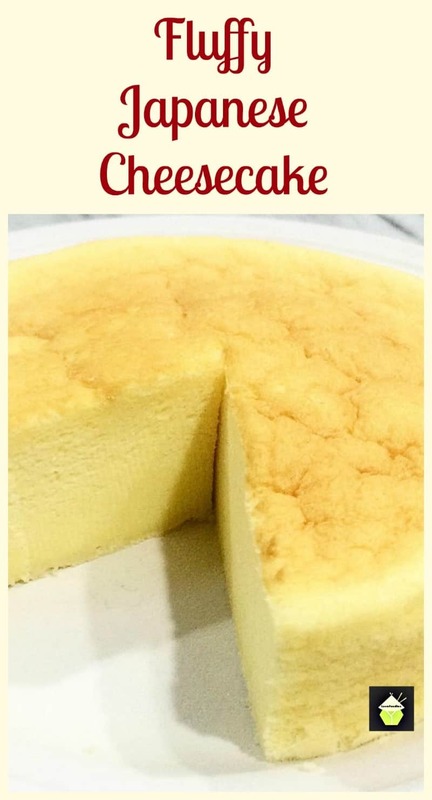 So let’s get straight to the recipe and see how we make our lovely Japanese Cheesecake. Please enjoy! 1. Line and grease the base and sides of a 9-inch springform tin. 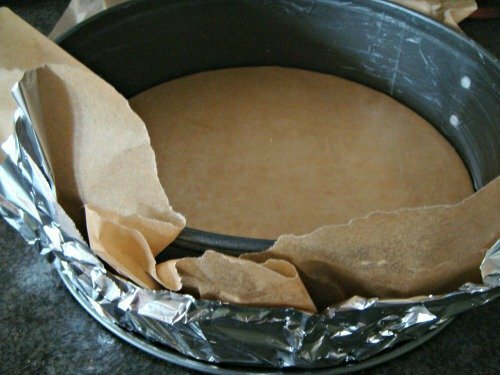 Wrap the outside of the tin with foil tightly so the foil comes up the sides of the tin. 2. Preheat oven to 160C or 310 F.
3. In a double boiler, add the cream cheese, milk, and butter. On a low heat, stir until all melted, then set aside to cool. 4. Once cooled, lightly fold in the flour, cornstarch, salt, egg yolks, lemon juice and mix well. 5. In a separate bowl, whisk the egg whites with cream of tartar until frothy. Add the sugar, a little at a time until soft peaks. 6. Fold the whisked egg whites in batches into the cheese mixture gently until combined. 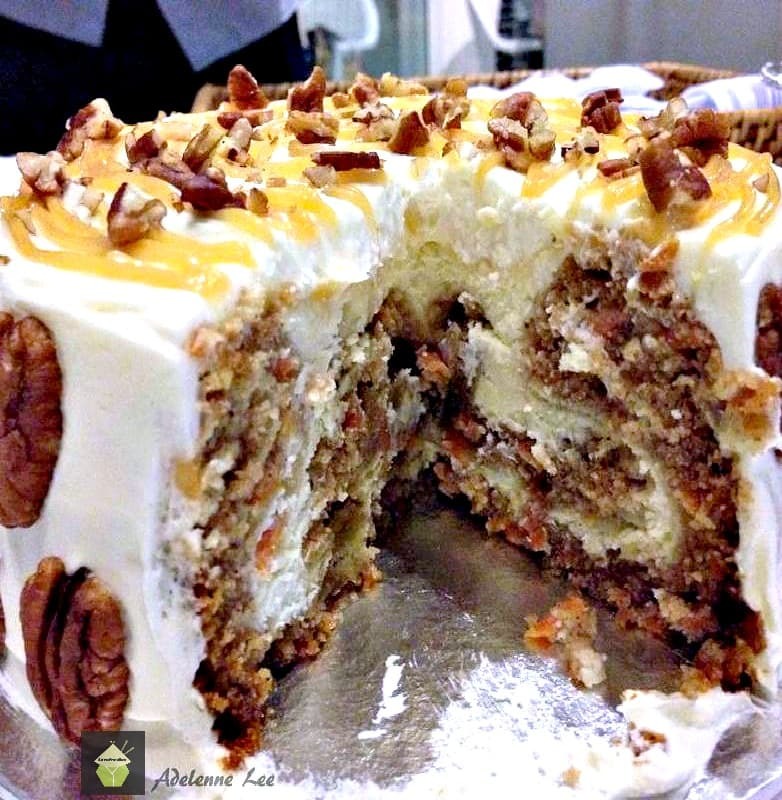 Do not over mix or the cake will shrink when cooling. Pour the mixture into the tin. 7. Bake in a water bath for 1hr 10 mins until golden brown. *** During baking it is important NOT to open the oven door, to avoid surface cracking and collapse! 8. When the cook time is over, switch the oven off and leave the cake to cool in the oven with door slightly open for a couple of hours. 9.Once cooled, refrigerate for at least 4 hours or overnight to completely firm up before serving. 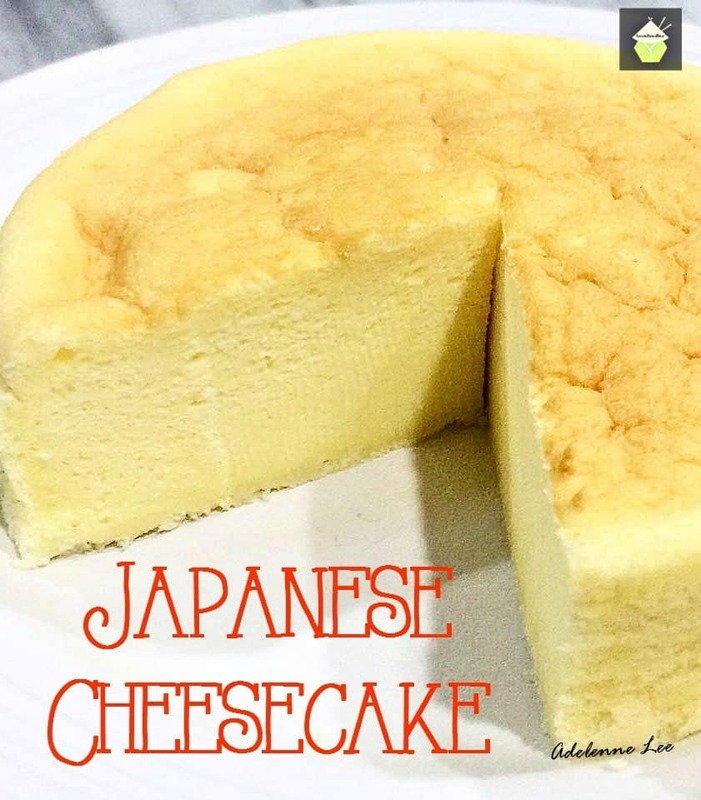 We’d love to hear from you and what you thought of our Japanese Cheesecake recipe. Did you make any changes or add some other goodies? Let us know in the comments below. Thanks for reading and happy cooking! Line and grease the base and sides of a 9 inch springform tin. Wrap the outside of the tin with foil tightly so the foil comes up the sides of the tin. Preheat oven to 160C or 310 F.
In a double boiler, add the cream cheese, milk and butter. On a low heat, stir until all melted, then set aside to cool. Once cooled, lightly fold in the flour, cornstarch, salt, egg yolks, lemon juice and mix well. 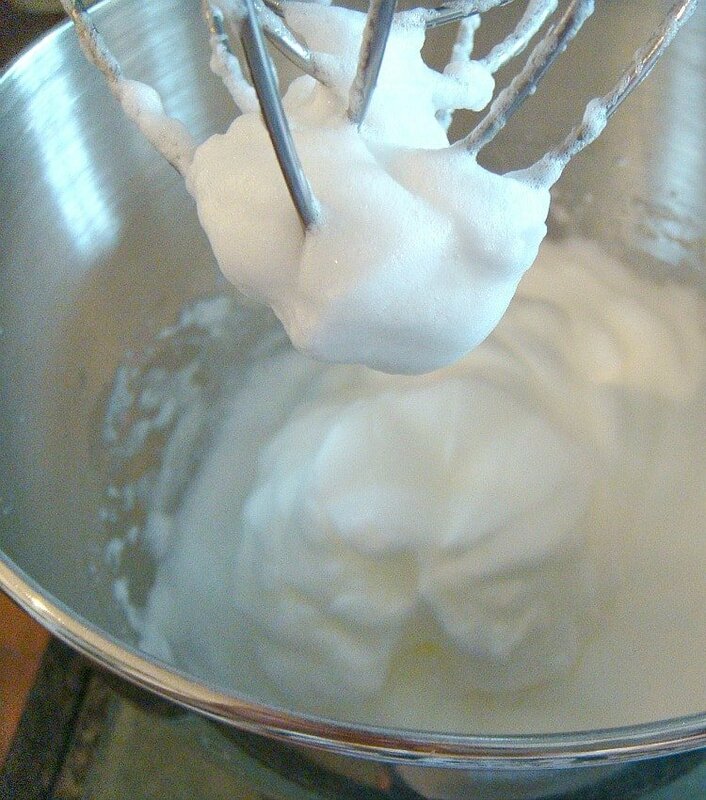 In a separate bowl, whisk the egg whites with cream of tartar until frothy. Add the sugar, a little at a time until soft peaks. Fold the whisked egg whites in batches into the cheese mixture gently until combined. Do not over mix or the cake will shrink when cooling. Pour the mixture into the tin. Bake in a water bath for 1hr 10 mins until golden brown. *** During baking it is important NOT to open the oven door, to avoid surface cracking and collapse! When the cook time is over, switch the oven off and leave cake to cool in the oven with door slightly open for a couple of hours. Once cooled, refrigerate for at least 4 hours or overnight to completely firm up before serving. Hi, it shouldn’t deflate, a tip is to leave it in the oven, switched off, with the door closed until it’s cooled completely. Hope that helps! This cheesecake looks delicious! If I were to split this recipe in half and make it in a smaller sized springform pan, how much do you think the baking time would differ from the full size? Normally I would just check it sooner but this seems a little more challenging with these baking instructions. Thanks! To be honest, I haven’t tried this recipe in a smaller size pan, but I am thinking about the shape and size of your pan. If it is ‘smaller’ in diameter, bu has the same depth, then I would go for around 40 minutes baking. Obviously if the pan is wider and gives you less height in batter when it goes in the pan, it will cook faster. Do you see what I mean? It is the depth which will be important for the timing. As a start, you could try around 40 minutes, and it should have a slight wobble in the centre, but not sloppy at all. If it looks runny, then just keep it baking and check every 10 minutes until you see that little wobble in the middle. Don’t forget, also , the cake will still carry on cooking a little once the oven is off, and the cake is sitting in there resting and cooling slowly. I hope this helps, and please do come back and let me know how you get on with the timings! Thank you so much for giving both sets of measurements. 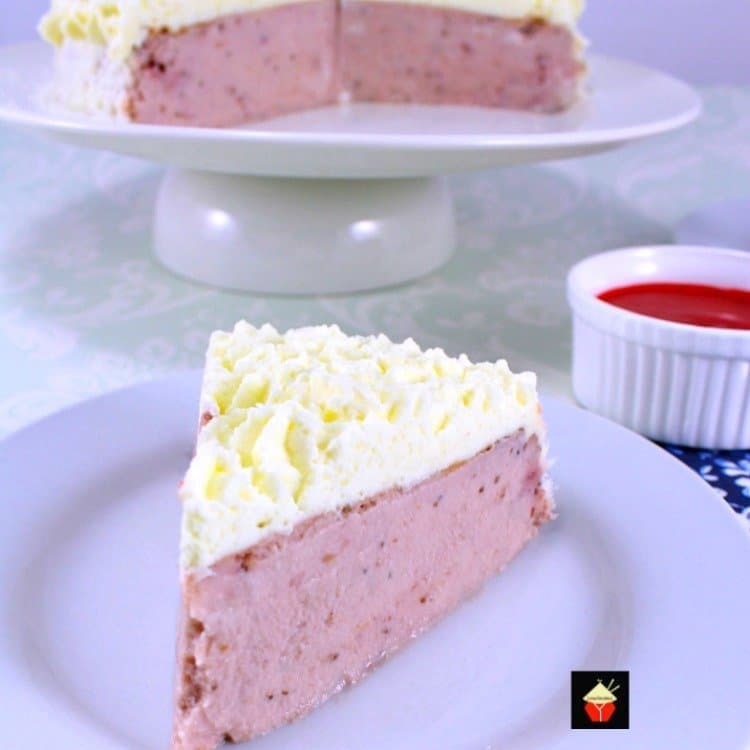 I want to try this recipe, I love cheesecake, my favorite dessert! Hi Nettie, you will love this one. It is so fluffy, like eating clouds!